I wanted to make a simple gift for Thomas's music teacher Miss Katie, as today was our last day. 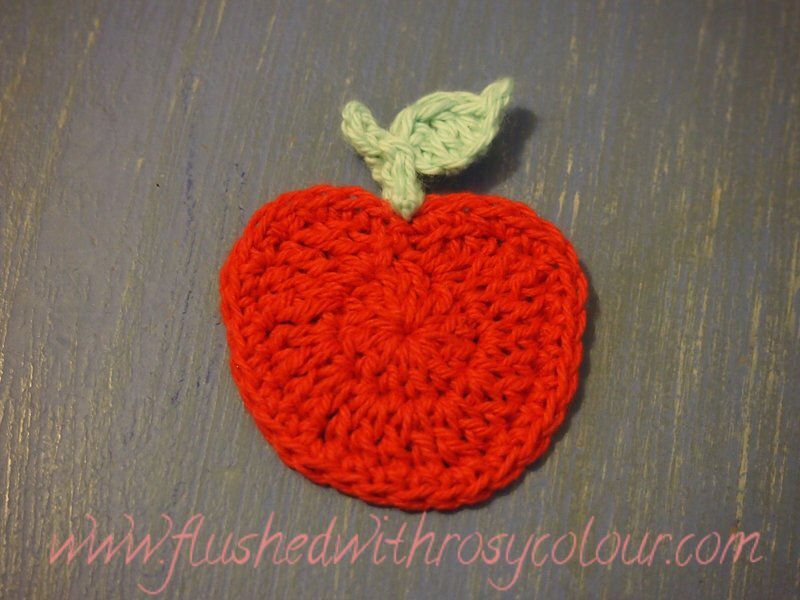 I thought to make a small apple brooch but I had trouble finding an apple pattern I liked so ended up making up my own! 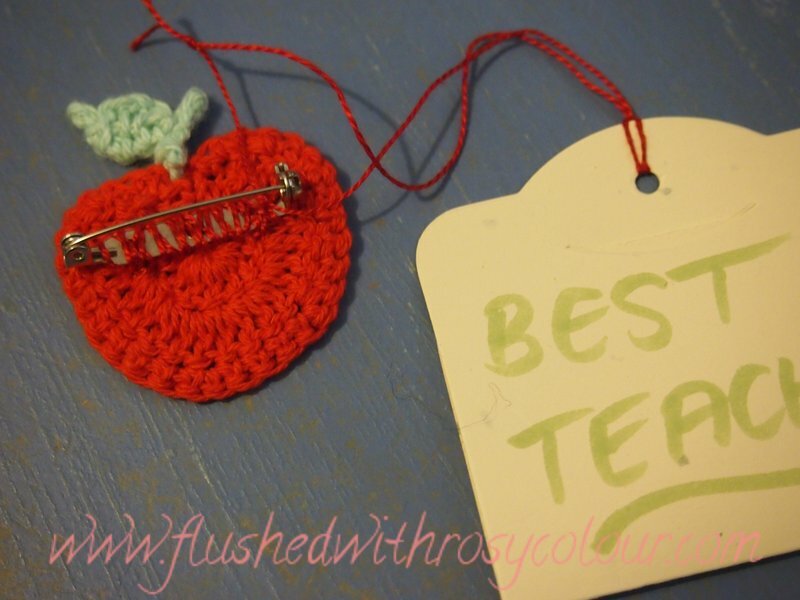 I tried several different apple appliqués using different yarns, included 8 ply acrylic. In the end I decided the 4 ply red cotton was best. I used a 2mm hook and my own pattern. 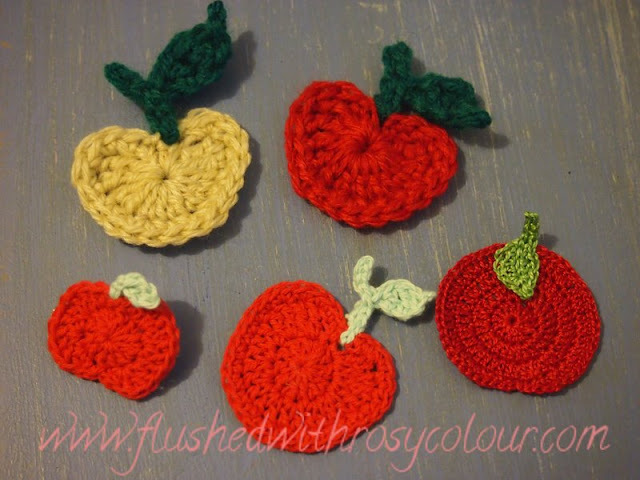 I learnt how to make apples from 'ing-things' blog, but then changed the pattern to suit the 4 ply. The apples I made using her pattern are the large ones with dark green leaves. T o find out how to make the ones with dark leaves please go to her blog. For the leaf and stem, I followed the pattern at ing-things. I don't like to use glue, so I don't own a glue gun. I don't know if they work better but as a rule I prefer not to use glue as in my experience it just falls apart. So I stitch the brooch pin onto the back of the applique, I think it stays on better that way. 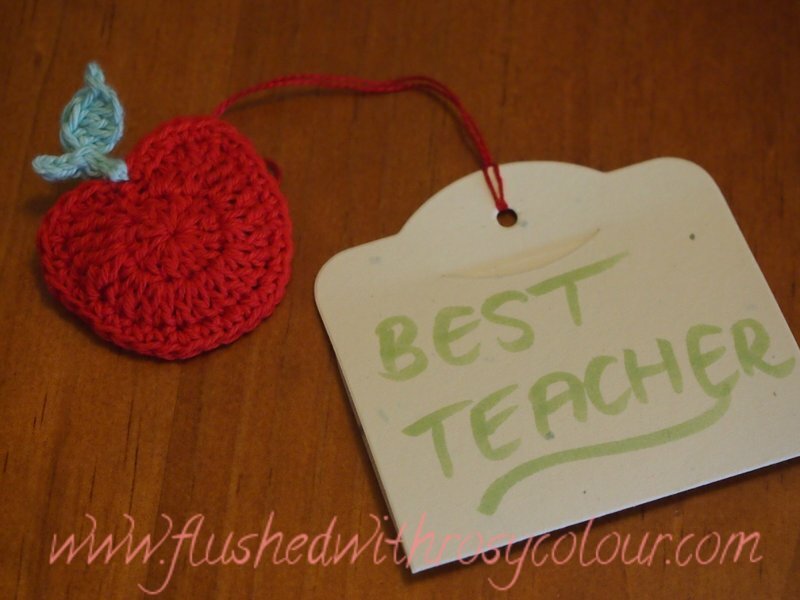 I think Miss Katie liked her special apple brooch that we gave to her today, I wonder if anyone else will want me to make this for them? 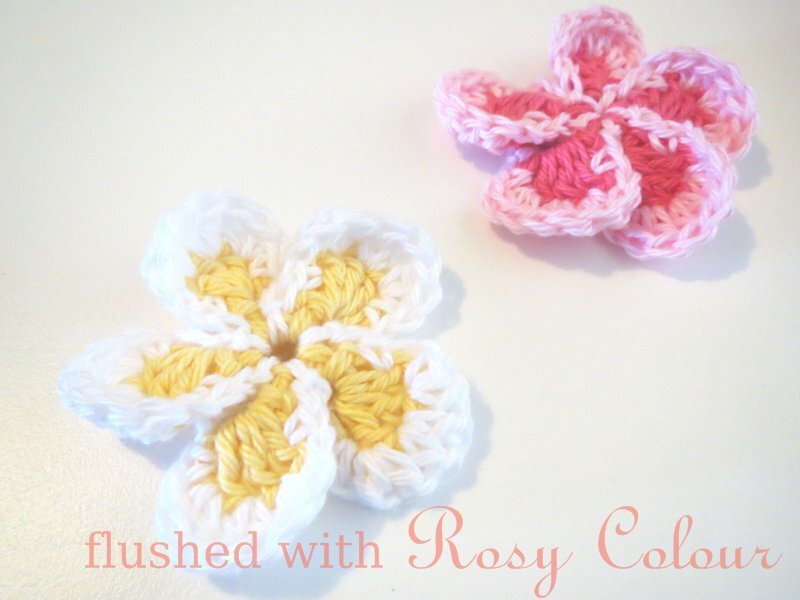 I think I could make a few for an online shop when I get around to it!